President Donald Trump's wife Melania and their 11-year-old son Barron have officially moved into the White House. She and the boy had been living at the family's home at Trump Tower in New York so Barron could finish out the year at his current school. Melania Trump announced the move Sunday on Twitter. She wrote, "Looking forward to the memories we'll make in our new home! Hashtag Movingday." Her announcement included a picture of the Washington Monument as seen from a room inside the White House. Melania Trump has not been as visible as other presidents' wives since choosing to stay with Barron in New York. But she has slowly begun taking on more official White House duties. She also recently joined the president on his first major overseas trip. 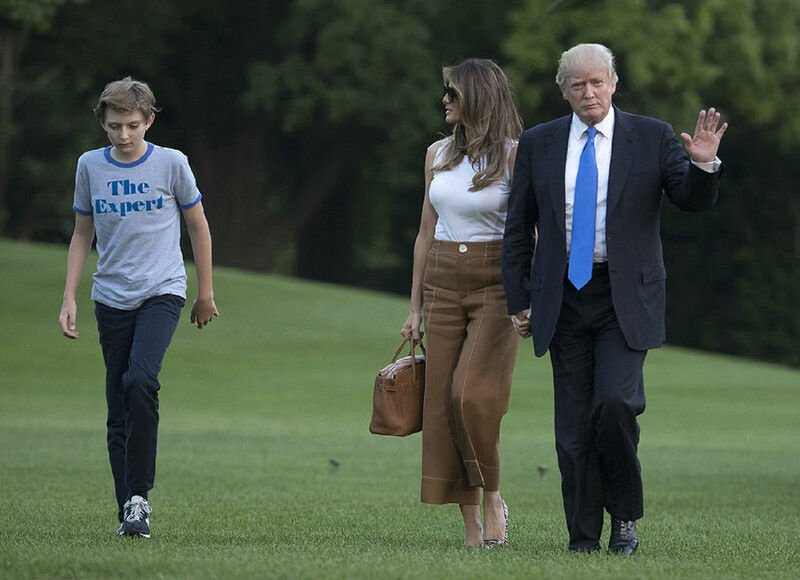 Melania Trump announced last month that Barron would begin attending a private school just outside of Washington, in the state of Maryland, later this year. The school, Saint Andrew's Episcopal School, is about 30 kilometers from the White House. In a statement at the time, the first lady said the family chose St. Andrew's because of its commitment "to know and inspire each child in an inclusive community." She added that the school's program combines teaching, learning and service, "all of which appealed to our family." We moved into a cabin with electricity but no running water. They sent me to a fancy private school. He has returned to South Africa from his long overseas trip. 1.But she has slowly begun taking on more official White House duties. No other organisation was able or willing to take on the job. Believing he had only a year to live, his writing took on a feverish intensity. 2.In keeping with American tradition, President Trump moved to Washington, DC immediately after he took office in January. New public opinion polls show the president's approval rating at its lowest point since he took office. By the time I took office, the war in Afghanistan had entered its seventh year.